EMC design with high anti-jam for industrial environment. 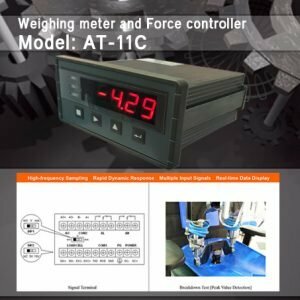 DC24V power input with reverse polarity protection. Cortex-A8 CPU with 600MHz Clock, 128M Flash. 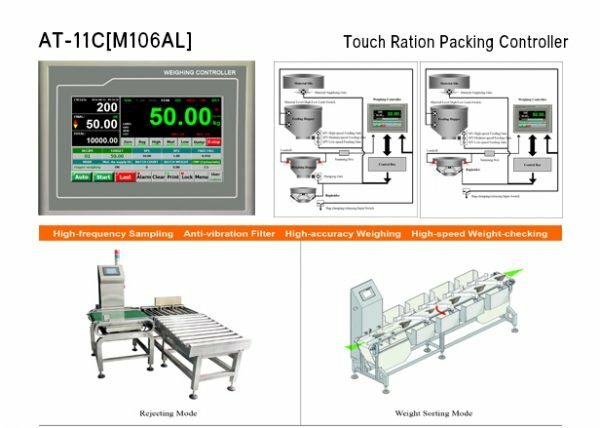 7” [800×480] or 10.2” [1024×600] TFT touch panel. 24-bit ∑-△ADC with internal resolution 1/1,000,000. 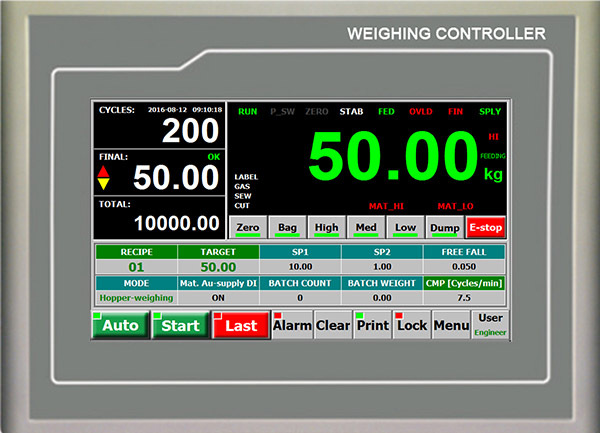 Special Anti-vibration Digital Filtering Algorithm for precise weighing, stable display and rapid response. Auto Pause for Deviation Alarm. Auto Re-feed for Negative Deviation Alarm. 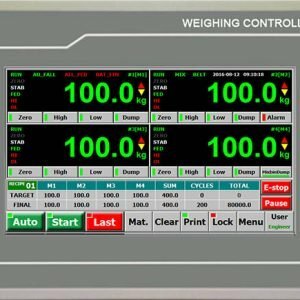 Target Batch Count & Target Batch Weight Control. 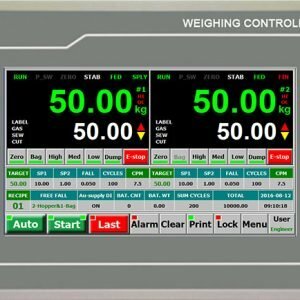 3-speed[high/medium/low] feeding control by DOs or AOs. Power Supply: DC24V±20%, Max. 10W. Weighing Signal Input Range: 0~12.5mV. 9 Normally Open Switch Inputs [DI]. 18 Normally Open Transistor Outputs [DO]: DC24V, 500mA. 2 Analog Signal Outputs [AO]: 0~10V, Max.50mA. USB1: Connect mouse, software download, data backup. 7”: 226.5 × 163 × 36 mm. 2”: 274 × 193 × 40 mm. 7”: 215 × 152 mm. 2”: 261 × 180 mm. Protection Level of Front Panel: IP65. Copyright © 2018-2019 Kilothai Co.,Ltd. All rights reserved.